Having a daughter when doctors were skeptical it could happen – and then having a son 10 years later, and then another beautiful daughter 4 years after our son. I still can’t believe we have three children. What a blessing! Starting I Was Broke. Now I’m Not. Visit the world beyond North America – including Israel, Australia, England, France, Germany, Italy, Greece, Austria, Denmark, Sweden, Hong Kong, Japan, South Africa, Egypt, Brazil, and Argentina. Serve 10,000,000 people through I Was Broke. Now I’m Not.’s personal finance and small business programs – enough to make a measurable difference in their individual situations and in the world economy. Ultimately, I would love to achieve my life goal of being on the Great Wall of China when I’m 90 years old. Time will tell if I reach that goal. Check with me in 50 years. 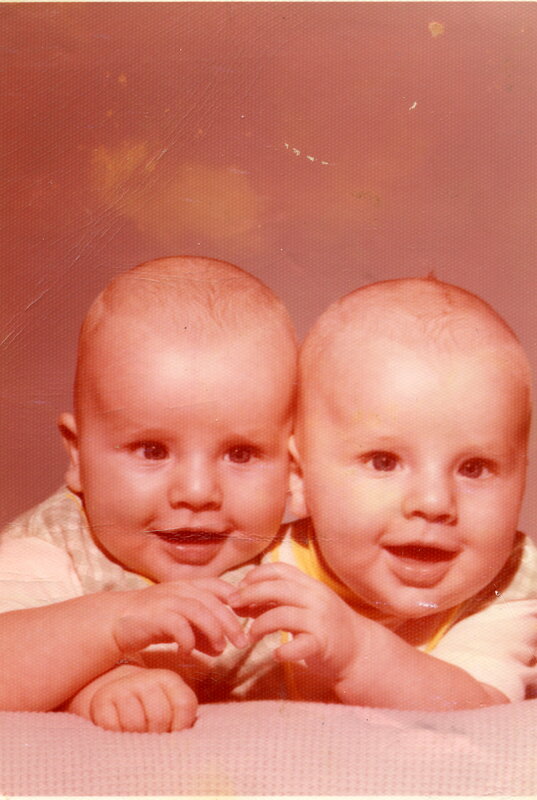 By the way: Happy Birthday to my identical twin brother, Dr. John Sangl! We were 4 months old in the above picture!